our friends over at Vinyl Record Talk have an announcement! Vinyl Record Talk will be live today from our new home at Irvine Office and Storage (the place is much snazzier than name - I'm going to need to talk to them about that. The place needs a better name). So all wires hooked up correctly, Jane and I (pictured left) will bring you an all new broadcast with music, news and the Top 5 vinyl record sales on eBay for the past two weeks. Music will be free form today as I don't yet know what equipment will grace us with actually working correctly, so we may have to resort to singing acapella. In the news, we'll have the story of a Beatles audtion letter, found in a book, that's going on auction. 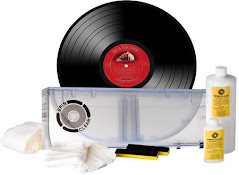 Listen To Vinyl Record Talk Today! HOLLYWOOD, Calif., Oct. 18, 2011 /PRNewswire/ -- On November 29 in North America and December 5 internationally, EMI Music will launch an extensive campaign honoring the legacy of THE SMASHING PUMPKINS by reissuing the iconic alternative band's first two albums--GISH (1991) and SIAMESE DREAM (1993), certified platinum and 4X platinum respectively--in CD, deluxe 2CD/DVD, vinyl LP, and digital configurations. Both albums, each with bonus content and special features that were curated from the band's archives by founding member Billy Corgan, have been painstakingly remastered for the first time from the original master tapes by Bob Ludwig. *See all track listings below. With the full support and guidance from THE SMASHING PUMPKINS--who've created one of the most acclaimed bodies of work in musical history, selling over 30 million albums--EMI's global catalog reissue campaign will last through 2013; it will encompass all the band's albums and B-sides from 1991-2000, with other release dates to be announced. The pivotal group's many hits defined the alternative music era and continue to resonate on modern rock radio, influencing a whole new generation. Gish highlights include "I Am One," "Siva" and "Rhinoceros," while Siamese Dream features "Cherub Rock," "Today" and "Disarm." Both groundbreaking albums were produced by Butch Vig and Billy Corgan. As THE SMASHING PUMPKINS get the fully remastered treatment via these reissues, the band is excited to be moving forward by creating new music. After touring America and Europe this fall--the trek launched October 5 in Los Angeles and wraps December 8 in Lisbon--they will release OCEANIA, "an album within an album," as part of their in-progress 44-song work TEARGARDEN BY KALEIDYSCOPE. Featuring 13 new songs, OCEANIA will be released in early 2012 (further details TBA). For the GISH and SIAMESE DREAM liner notes, Billy Corgan was interviewed by journalist/author David Wild. Corgan reflects on why these albums were hard-won triumphs for the band and discusses the origins of the songs. 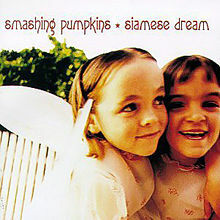 In the SIAMESE DREAM liner notes, Corgan says: "We start the album out with 'Cherub Rock' which is basically my big F.U. to the indie world. If you read the lyrics, that was basically me railing against the hipper than thou New York indie mentality." •Deluxe versions of Gish and Siamese Dream will each include a bonus disc of rare and previously unreleased audio content. •Deluxe versions of Gish and Siamese Dream also contain a never-before-released live show from the Metro in Chicago on DVD. The 10-song live show in the Gish package is from 8/25/90; the 17-song live show in the Siamese Dream package is from 8/14/93. 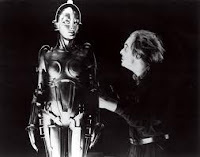 Both DVDs feature introductions by Joe Shanahan, owner of the Metro in Chicago. 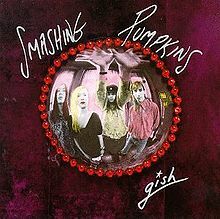 •The Gish bonus disc will include brand new Butch Vig mixes of the original Sub Pop single tracks "Tristessa" and "La Dolly Vita." 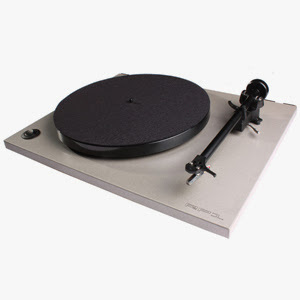 •Vinyl has been mastered specifically for the format. •Housed in special lift-top box packaging, the deluxe versions feature liner notes and track by track commentary from Billy Corgan, never-before-seen collages and photos, postcards and more. LOS ANGELES, Oct. 18, 2011 /PRNewswire/ -- It's hard to imagine how different today's music charts might look without ABBA. From the moment they swept to glory at Eurovision in 1974, the Swedish pop group has been, and continues to be, a major influence on musicians around the world, and remains one of the most successful acts of all time. To date, ABBA has sold over 370 million albums around the world with their "Gold" greatest hits collection selling well over 28 million copies alone. The musical Mamma Mia has gone on to be the world's No. 1 show with more productions playing simultaneously around the globe than any other musical. From their first hit single "Waterloo" in 1974, the phenomenon continues as new generations continue to discover the music of ABBA. With the current resurgence in vinyl sales, on October 18, 2011, Universal Music Enterprises (UMe) will be releasing a limited run of all the studio albums in ABBA's catalog through its successful "Back To Black" vinyl campaign. Titles include Ring Ring, Waterloo, ABBA, Arrival, ABBA – The Album, Voulez-Vous, Super Trouper and The Visitors. Each release will also include a digital voucher for an MP3 version of the release. Ring Ring is the 1973 debut studio album by ABBA featuring Benny Andersson, Bjorn Ulvaeus, Agnetha Faltskog and Frida "Anni-Frid" Lyngstad. Ring Ring originally was only available in Scandinavia and a limited number of other countries, only later to be made available in the U.S. The album features the upbeat "Rock 'N' Roll Band," the infectious "I Am Just A Girl" and title track "Ring Ring," which gives a glimpse of what would become the ABBA sound. This re-release uses artwork with the name "ABBA," although at the time of its original release the name ABBA had not yet been coined. Waterloo is ABBA's second studio album originally released in the U.S. in 1974, marking their American debut. The album features a wide variety of musical styles including reggae, folk-rock and rock. It includes the hit title track "Waterloo," which went to No. 6 on the U.S. charts, and their top 50 hit single "Honey, Honey." Waterloo brings the group closer to that more familiar ABBA hit-making formula and illustrates the group's progression as they begin to hone their sound, setting the stage to become a global phenomenon. ABBA, the eponymously titled third studio album, was released in 1975 and was the album that made ABBA superstars worldwide. On its release, ABBA hit the Billboard 200 and features their megahit singles "S.O.S," "I Do, I Do, I Do, I Do, I Do" and "Mamma Mia," plus ambitious tracks such as "Intermezzo No. 1" that showcase Andersson and Ulvaeus' classical leanings while demonstrating their abilities as proficient songwriters. Arrival, the aptly titled fourth studio album by ABBA, was released in 1976, hit the top 20 on the U.S. album chart and features their No. 1 smash hits "Fernando" and "Dancing Queen," the latter becoming one of ABBA's signature songs. Also included is their top 10 hit "Knowing Me, Knowing You" and their top 20 hit "Money, Money, Money." ABBA - The Album was released in 1977 in conjunction with ABBA: The Movie, which features several of its songs and reached top 20 on the album charts. It sold a million copies in its first six months and includes their smash hit singles "Take a Chance on Me" and "The Name of the Game." The Album also features songs from a "mini-musical" called Girl with the Golden Hair that Andersson and Ulvaeus wrote for their concerts and intended to be used in a dramatically coherent storytelling context. Voulez-Vous is ABBA's 1979 hit album, reaching top 20 on the Billboard album chart and featuring the hits "Does Your Mother Know"—which hit top 20 in the U.S.—"Chiquitita," "Angeleyes" and the title track, "Voulez-Vous." Super Trouper was released in 1980 and was yet another worldwide success, landing in the top 20 in the U.S. The album reflected a change in style with ABBA returning to the pop-rock sound of their earlier albums. It spawned the global hits "The Winner Takes It All," which reached No. 1 on the U.S. charts, "On and On and On," "Lay Your Love On Me" and the title track, "Super Trouper." The Visitors is the eighth and final studio album by ABBA, released in 1981. With The Visitors, ABBA took several steps away from lighter pop music and the album is often regarded as a more complex and mature effort. 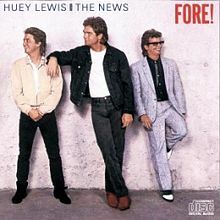 The album reached the top 40 in the U.S. and features two top 10 hits, "The Visitors" and "When All Is Said and Done," and the top 50-charting "One Of Us." nice to see, vinyl and friendship! Senior Jake Smith, President of the Listening Club, enjoys records Friday in Lloyd Hall. New College has a vinyl collection of about 3,000 albums. / CW | Megan Smith They may hang out in the basement, but that doesn’t mean the New College Listening Library Syndicate doesn’t know how to raise the roof. Hussong’s basement analogy serves just as effectively as a description of the group’s physical location as it does a metaphor for the club’s newness to the campus organization scene. Every Friday afternoon from 3 to 5, the NCLLS meets in Lloyd Room 001, a cozy storage closet in the building’s basement, to listen to their collection of approximately 3,000 vinyl records. Ben Folds loves his fans, and if they needed any proof, they now have it in the form of his new release, The Best Imitation of Myself: A Retrospective. Not content just putting together a simple “best-of” album, Folds throws nearly four hours worth of material at his fans, including music from all stages of his career, most of it previously unreleased. It’s the kind of release most musicians promise but never get around to putting together and, though there’s a lot here, quantity never trumps quality. In 1956, 21 year-old Elvis Presley pulls into a Memphis gas station where he starts to attract a crowd of autograph seekers. After repeatedly asking Elvis to move on so he can resume normal business, station manager Edd Hopper slaps Presley on the head and finds himself on the receiving end of a punch in the eye from Elvis. Station employee Aubrey Brown tries to help his boss, but is no match for Presley. After police are called, Hopper and Brown are charged with assault and are eventually fined $25 and $15 respectively. 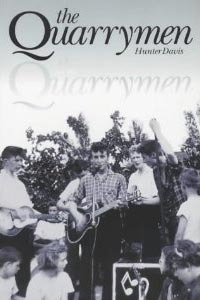 In 1957, Paul McCartney made his first appearance with The Quarry Men at New Clubmoor Hall, Norris Green, Liverpool. The line-up for The Quarry Men was John Lennon, Paul McCartney, Eric Griffiths, Colin Hanton, and Len Garry. Paul played John some songs that he has composed which Lennon contributes, marking the birth of the Lennon & McCartney songwriting partnership. In 1959, the evils of Rock 'n' Roll were front page news again when 75 teenagers were arrested at a concert in Kansas City after a drunken brawl broke out at the Municipal Auditorium. The Animals began their first US tour in 1964. In 1966, the Jimi Hendrix Experience played their first gig as a band supporting French pop star Johnny Hallyday at the Paris Olympia in France. 'How I Won the War,' starring John Lennon, premiered in London in 1967. In 1968, John and Yoko were taken to Paddington Green police station and charged with obstruction, after cannabis was discovered at the apartment they were staying in. Lennon pleaded guilty the following month and was fined £150. In 1969, at a Rock 'n' Roll revival concert at New York's Madison Square Garden, Bill Haley is given an eight minute standing ovation. The Jackson 5 made their U.S. television debut on ABC-TV's "Hollywood Place." in 1969. In 1974, Mary Woodson, the ex-girlfriend of Al Green, poured a boiling pot of grits on the singer and then commits suicide. In 1975, Simon and Garfunkel reunited on "Saturday Night Live." Also in 1975, Dickie Goodman had the best selling single in the US with the novelty tune, "Mr. Jaws", which mixed his rapid-fire mock interviews with answers that were snipped from contemporary hit singles. 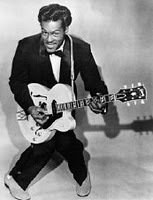 Goodman first entered the US charts in 1956 when he and his partner Bill Buchanan used a similar format on a record called "The Flying Saucer". In 1989, Axl Rose announced he was quitting Guns N' Roses to the crowd at the Los Angeles Colisseum. In 2002, after a 15 year court battle, New York State's highest court ruled that the Ronettes, did not have the right to share the money earned by their producer Phil Spector through the use of the group's songs in movies, television and advertising. Citing a 1963 contract signed by the group, the court also substantially reduced the amount they stood to gain from royalties on sales of records and compact discs. In 2005, an image of a naked John Lennon, taken on the last day of his life, was named the top US magazine cover of the past 40 years. The Rolling Stone front cover, taken by Annie Leibovitz and showing Lennon curled around Yoko Ono, was picked by editors, artists and designers. In 2009, a clump of hair trimmed from Elvis Presley's head when he joined the US Army in March, 1958, sold for $15,000 at the Leslie Hindman auction house in Chicago. Also among the 200 Elvis-related items up for bid was one of Presley's shirts which went for $52,000.